Bookmark printing is a useful tool for customers that will keep your brand and message in front of them on a regular basis. It is important for any business to have 3.5x2 business card printing to quality brochure printing along with grand opening vinyl banner printing. We offer standard and custom 2.5x8.5" discount bookmarks printing they are a unique promotional tool that can set your message apart. Besides bookmarks, the 4x6 club flyers printing is one of the most popular for any upcoming events invitations. We offer custom Bookmarks printing that are simple to create and can make a great ticket for your event, such as workshops, coupon, ticket, reminders or timetable. Order our 2x3.5" quotation bookmarks printing today and give out informative quotes to the readers along with a smart way of marketing. The Library bookmarks printing provide the customers with information about the business and also show that it is indeed an asset that can be trusted. 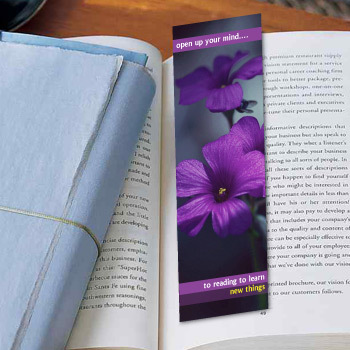 We offer 2x8" library bookmarks printing at a low and affordable price so that the readers find it easy to continue from where they left the page. We will help you to design the bookmarks from small to large or 1.5x7" custom size bookmarks printing by keeping your information and details in the bookmarks printing. The promotional Bookmarks such as 2x8" calender bookmarks printing with company's details and amazing photos. It may be beneficial for your prospective customers to remain up-to-date and it's a one time advertisement that lasts for longer. 16 pt is an ultra heavy cardstock that is coated on both sided with a special gloss layer. No coating or UV coating are separate options and are not affected by this. Such coating offers better ink absorption and hence artwork definition. 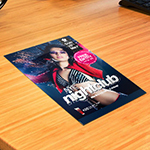 2x8 Bookmarks Printing with quality paper has become one of the best business marketing methods today. They help investors to promote their businesses to prospective customers economically. However, for you to enjoy the full benefit of using these promotional materials, you have to ensure that they don't compromise quality. 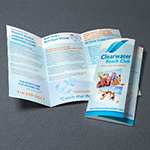 If you are planning to market your business, you should consider using business flyers printing. 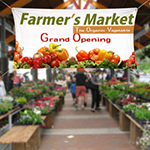 They will continue attracting more customers to your business for a long time. The 1.5x7 bookmarks printing at low cost can be distributed in the library too. Lots of people go there to borrow or read books. So while reading that is when they will see your bookmarks, they will definitely read the detail about your business or product and they will write it down and save it for their order. So make it with attractive offers and discounts. Before starting printing your 4.25x11 door hangers printing it is important to ensure that they are professionally designed. 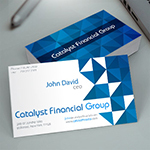 Always choose the right size that is perfect for the text of business or product information. Don’t put too much text and unnecessary details. Make it easy to read for the customers. Our professionals will help you to create the best designs for your quality calendar printing because the design reflects the image of your business. I love the quality work of your work. The design on bookmarks really looks good and attractive. Thanks for your good work. Your work is excellent. BRAVO PrintingXpert! 12pt is one of the most popular cover stocks used in commercial printing for Full Color and Spot color projects that are required to hold up against the rigors of lots of handling and heavy use and keep its original printed beauty for a long time. Product: Bookmarks, 2" X 2" , 2" X 3.5", 2" X 6", 2" X 7", 2.5" X 8.5"